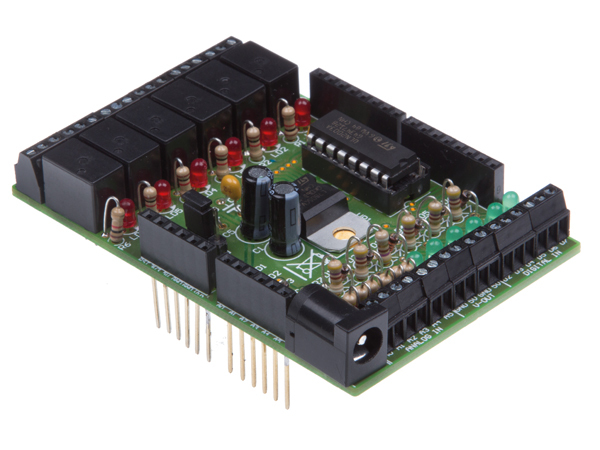 Velleman have now designed some shields kits for your Arduino™ allowing to interface and control applications from your micro-controller board. 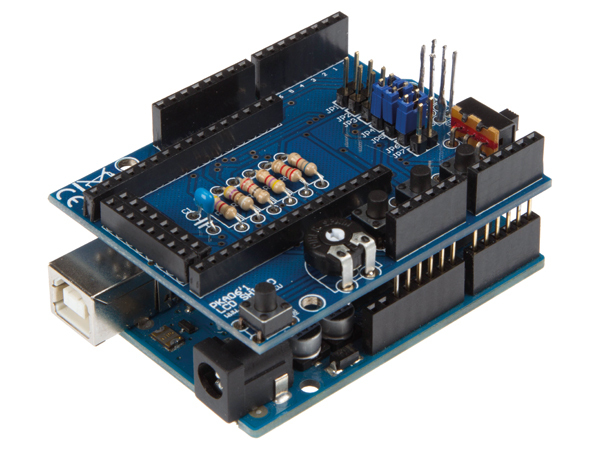 Self assembly kits complete with quality PCB, components and connectors compatible with your Arduino™ UNO. 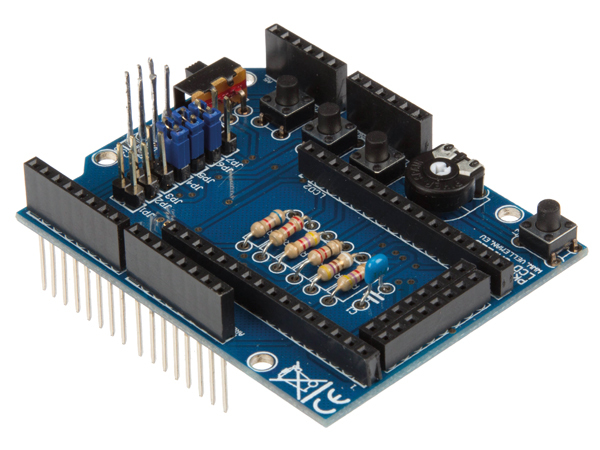 The Velleman Arduino Shield Kit - Audio interface for Arduino™. 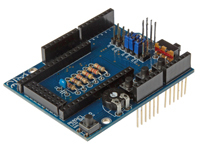 Record your voice via a built-in microphone or a line input. 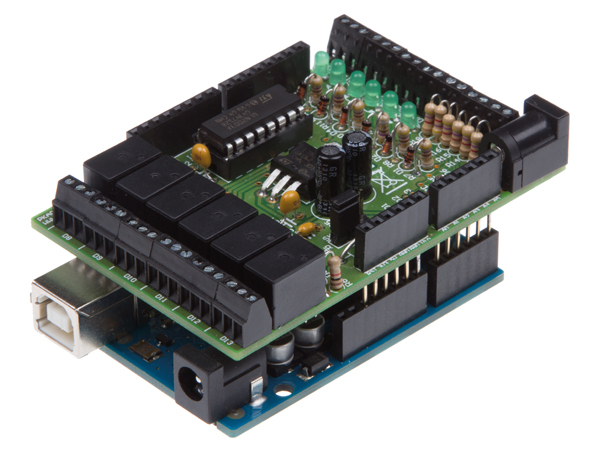 60 second recording time, start playback, record,… via on-board buttons or via Arduino™ UNO. 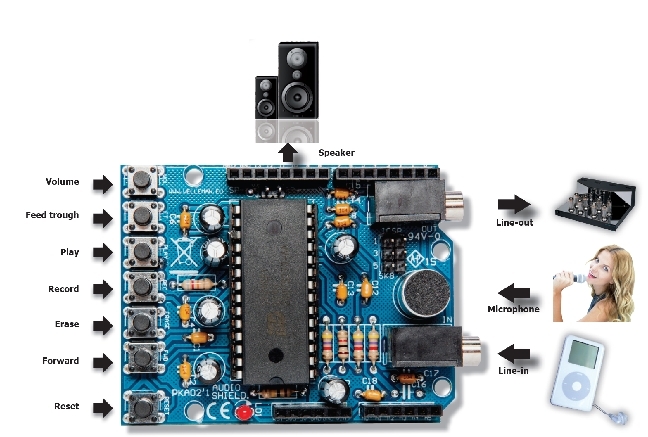 Playback via a speaker or a line output. 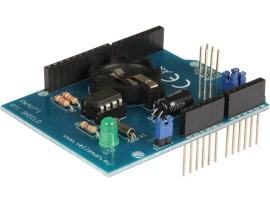 Downloadable sample sketch and library. 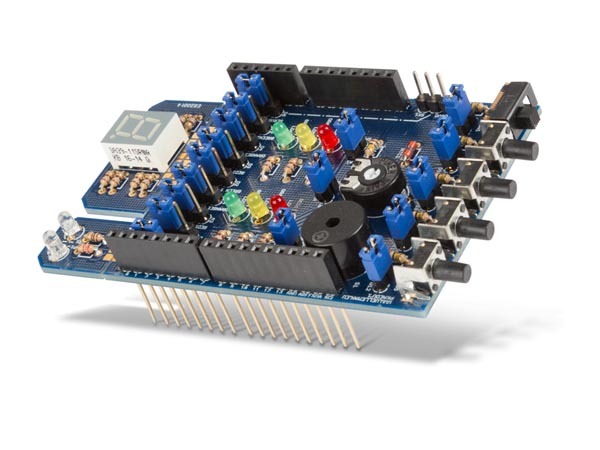 Stackable design: the shield can be stacked with other shields. 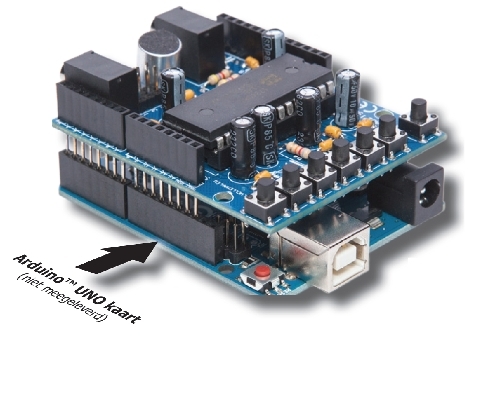 Requires 1 Arduino™ UNO (not included). 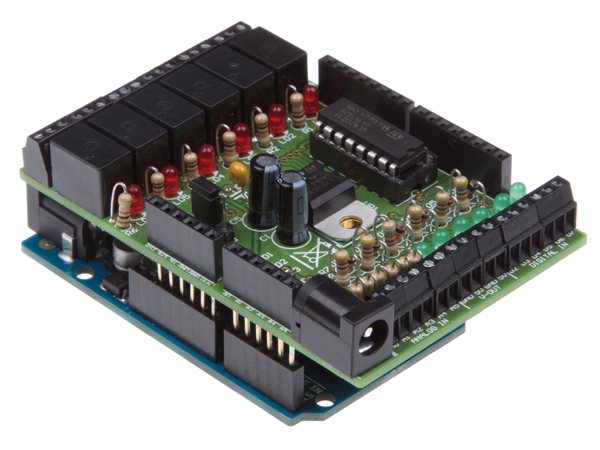 This Velleman Arduino Kit - Arduino Power shield, that can drive: relays, solenoids, DC and stepper motors. 2 channels, choose between an external or internal (Vin) power supply. Based on the dual full bridge driver L298P. 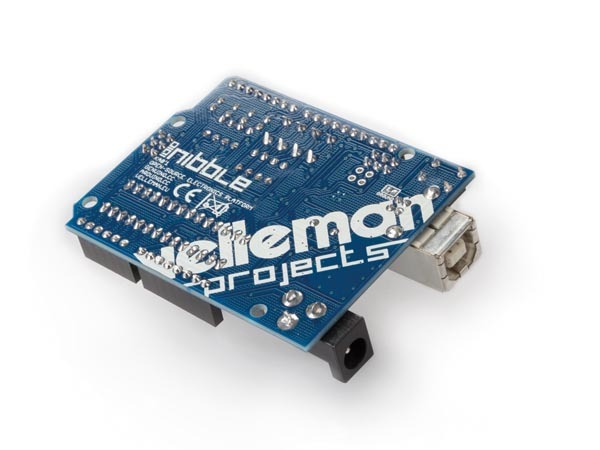 Downloadable sample sketch. 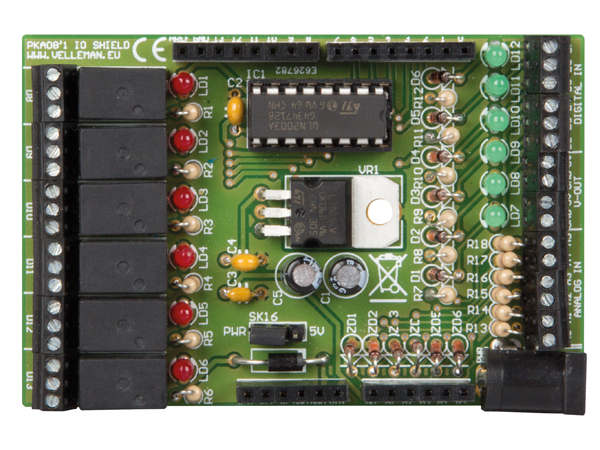 Stackable design: the shield can be stacked with other shields. 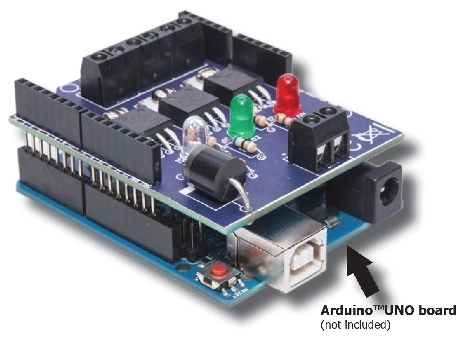 Requires 1 Arduino™ UNO (not included). 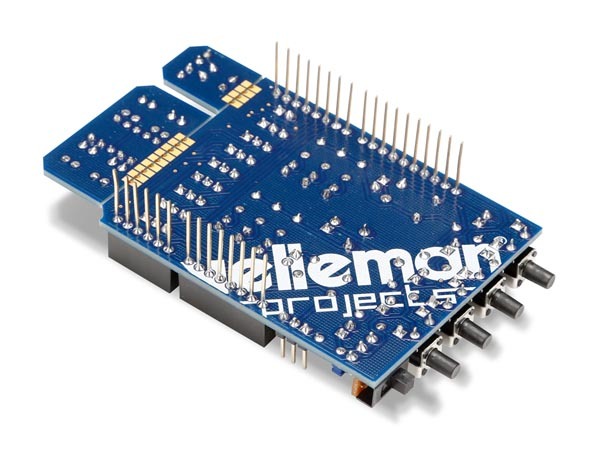 Velleman Arduino Shield Kit. 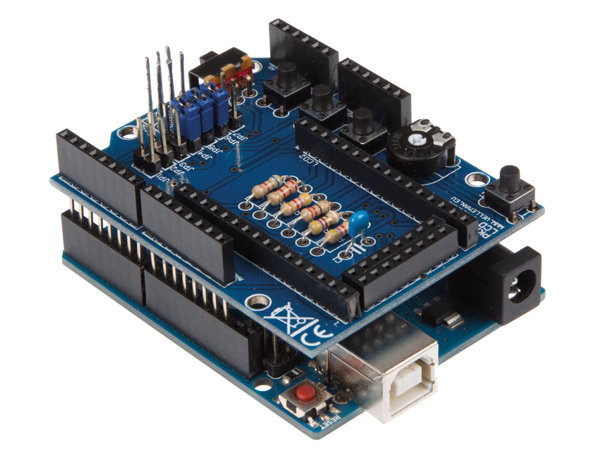 Configure your Arduino™ as a simple web server or let it get data from the worldwide web. 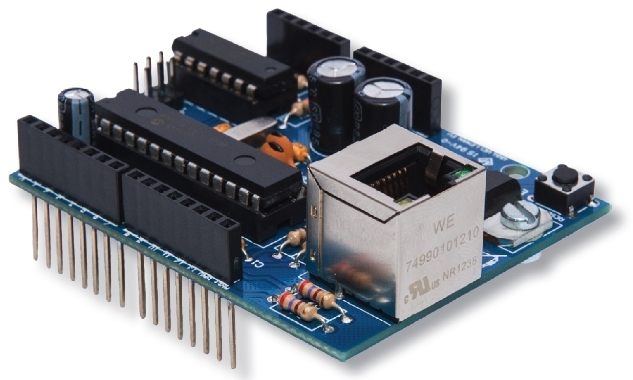 Based on a Microchip ENC28J60 chip. Downloadable sample sketches and library. 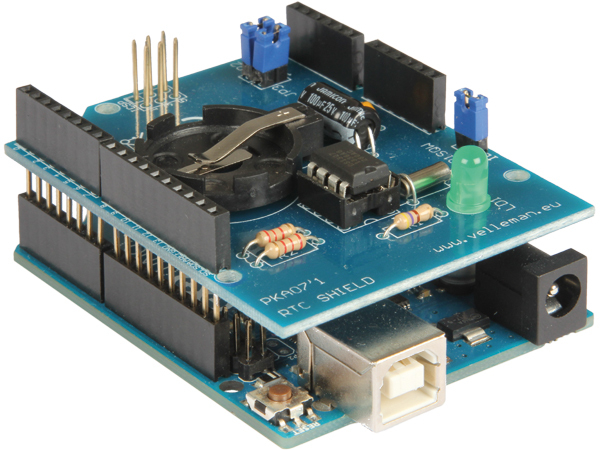 Stackable design: the shield can be stacked with other shields. 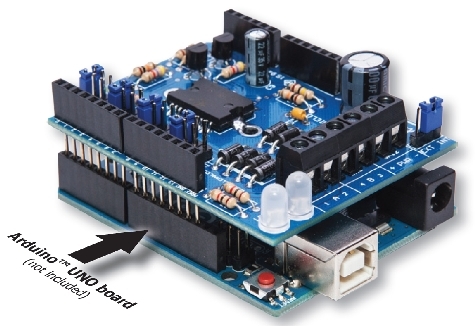 Requires 1 Arduino™ UNO (not included). 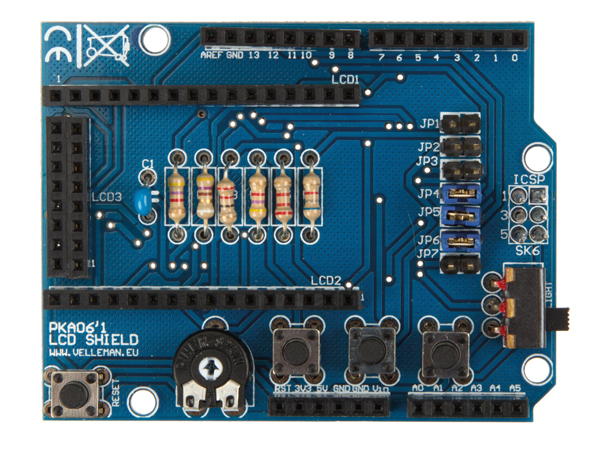 The Velleman Arduino Shield kit for the UNO. 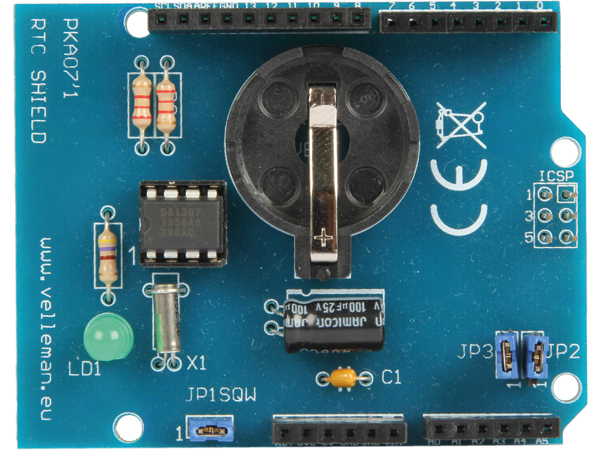 General purpose INPUT - OUTPUT shield for Arduino™. 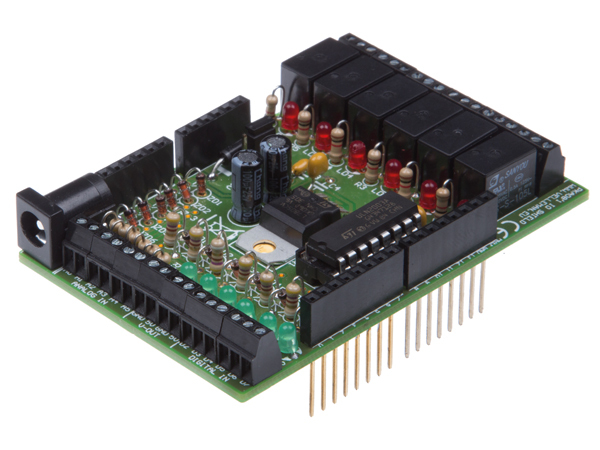 6 relay outputs, 6 analog inputs, 6 digital inputs. Downloadable sample sketch. 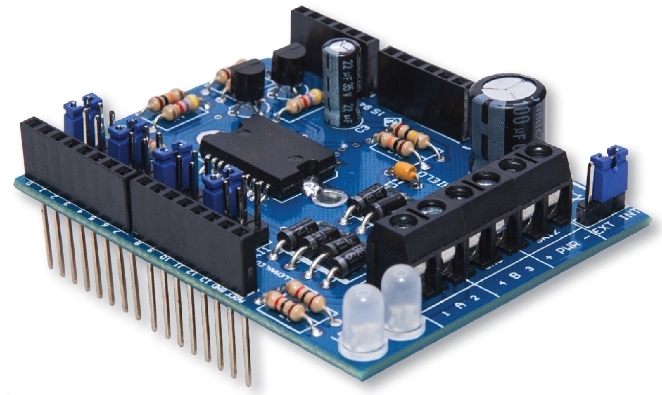 Stackable design: the shield can be stacked with other shields. 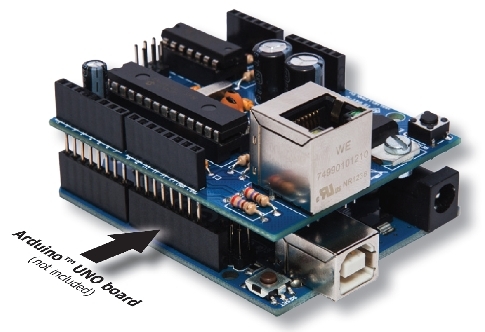 Requires 1 Arduino™ UNO (not included). 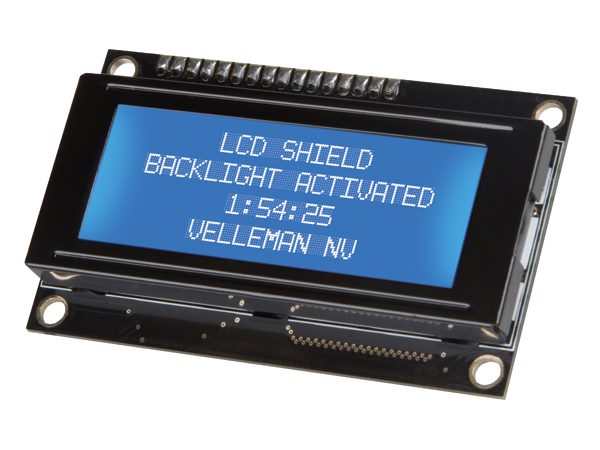 The Velleman LCD Arduino Shield kit. 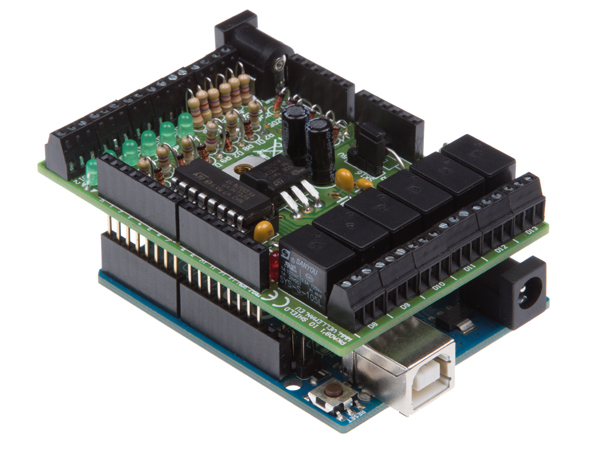 Add an LCD to your projects and visualize measurements, parameters, data, messages, etc. 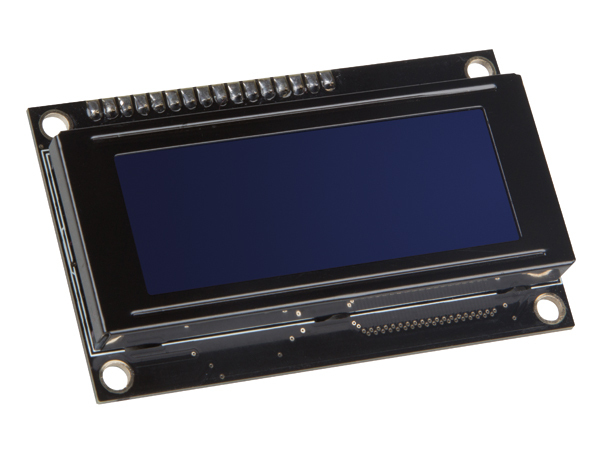 For use with Hitachi HD44780 or compatible LCD's. 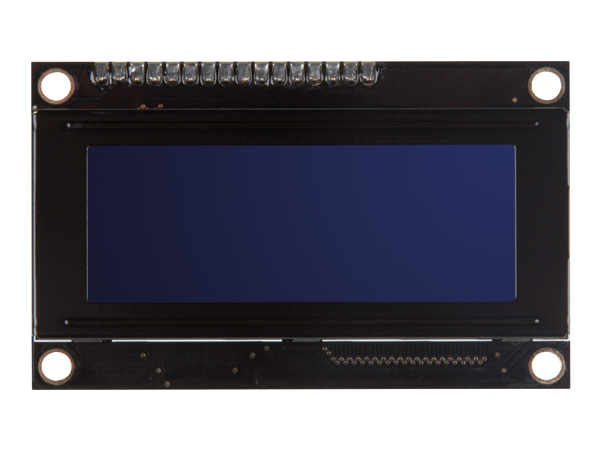 Supplied with a Negative Blue 20 x 4 Character LCD Module with White Side LED Backlight. 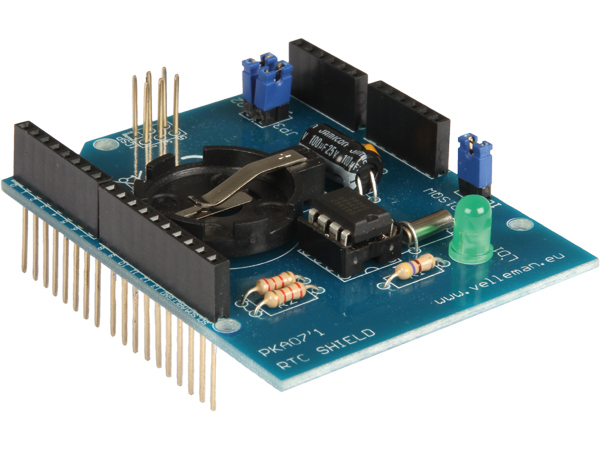 Stackable design: the shield can be stacked with other shields. 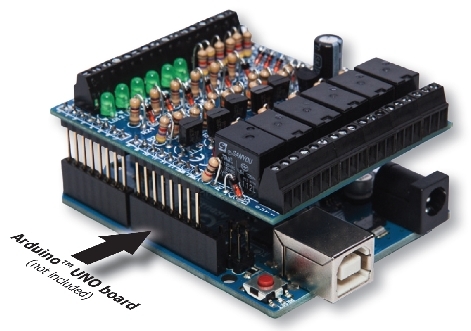 Requires 1 Arduino™ Uno (not included). 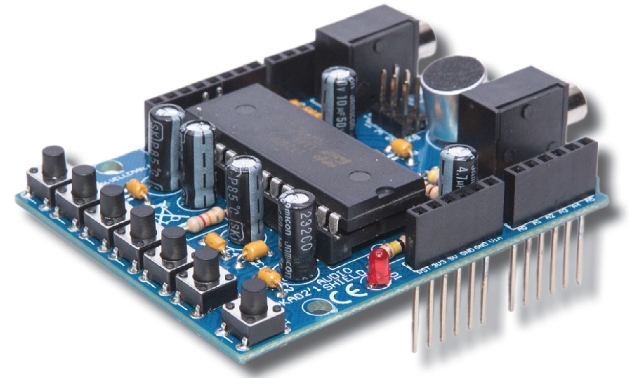 The Velleman RTCC (Real Time Clock) Arduino Shield kit. 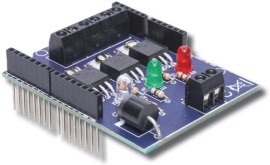 Add a real time clock shield to your projects to ensure accurate and easy timekeeping. 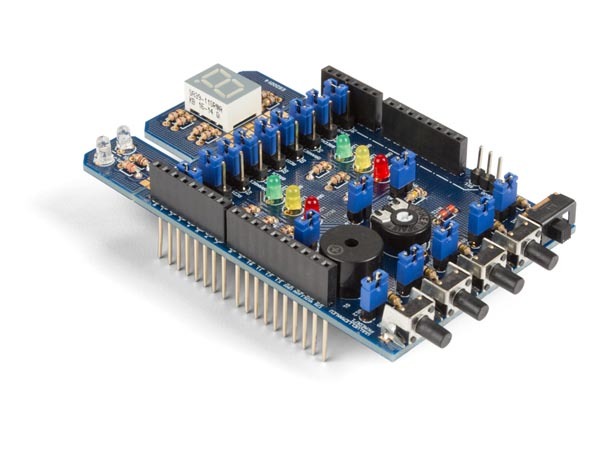 While the shield keeps track of time and date, the controller can focus on other tasks.. Stackable design: the shield can be stacked with other shields. 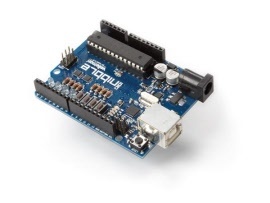 Requires 1 Arduino™ Uno (not included). The Velleman Arduino Shield kit for the YÚN. General purpose INPUT - OUTPUT shield for Arduino™. 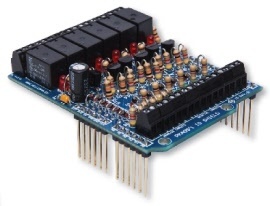 6 relay outputs, 6 analog inputs, 6 digital inputs. Downloadable sample sketch. 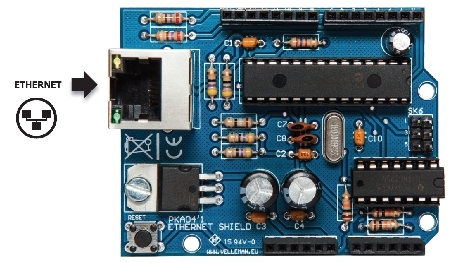 Stackable design: the shield can be stacked with other shields. Requires 1 Arduino™ YÚN (not included).